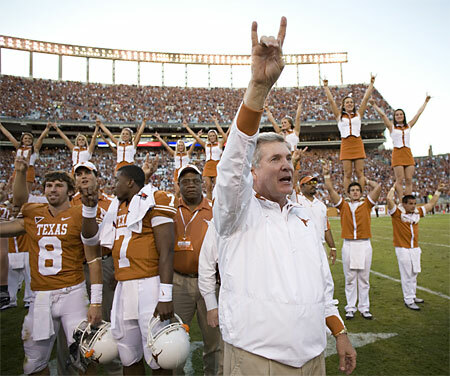 If Texas football coach Mack Brown and his staff are still feeling as if they let one get away after last month’s disappointing loss to Alabama in the BCS National Championship game, then Wednesday should help put the Longhorns’ coaches in position to make another run at the success that eluded them January 7th in Pasadena. The title of “Mr. February” has long been retired ever since Brown put to rest the stigma that he “couldn’t win the big one.” Texas’ run to Brown’s first Big 12 and national championships in the 2005 season validated him as a game day coach, and mythical titles have since been replaced by more tangible ones. But with that said, the first Wednesday of every February is Texas’ time to shine – at least it has been since Brown restored recruiting order in Austin – and this National Signing Day was no different as he and the Longhorns’ staff secured signed letters of intent from 25 of the nation’s top prep athletes en route to another consensus top 5 recruiting class for Texas. Among the group signees announced on Wednesday, seven were named Parade All-Americans, three earned first-team USA Today All-USA honors and two others earned second-team All-USA honors. All told, 17 players earned All-America status, 15 players were listed among ESPNU’s Top 150 national prospects and 20 were listed among all-state teams. 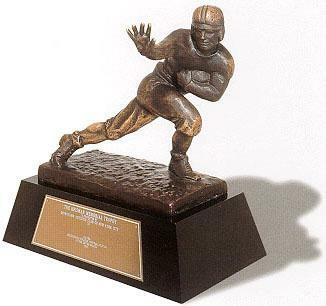 The 2002 class that would eventually carry Texas during Brown’s memorable 2005 season is considered by many to be the standard by which Mack Brown classes should be evaluated. It featured several impact contributors such as offensive lineman Justin Blalock, Lyle Sendlein, and Kasey Studdard, defensive back Aaron Ross, tight end David Thomas, defensive end Brian Robison and, of course, quarterback Vince Young. And while Brown isn’t willing to rush to any hasty judgments of a group that hasn’t played a down of collegiate football, he didn’t back down from entertaining such comparisons either. While the 2010 class’ legacy is yet to be determined, they do stack up well with other top classes in the country. 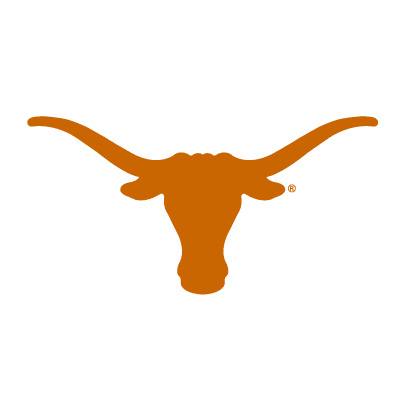 Rivals rated the Longhorns class third behind only Florida and USC. For the fourth time in the last five years, Texas finished in Scout’s top 10, also at No. 3 where they followed Florida and Oklahoma. The Longhorns’ most favorable ranking came courtesy of ESPN, which ranked Texas second behind only Florida. Texas’ class is obviously loaded with plenty of star power capable of supporting its lofty ranking, but according to Brown, the class also carefully addressed key areas of need as the Longhorns look to improve depth throughout the roster. 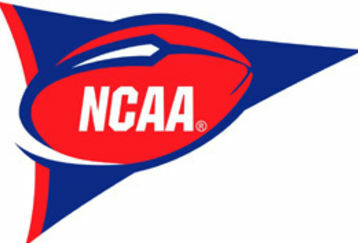 The intent is that improved depth will improve competition as the Longhorns begin preparations for the 2010 season with spring football rapidly approaching. Also impressive is the efficiency the Longhorns staff exhibited while identifying and ultimately landing this year’s class. As Brown indicated Wednesday, the Texas coaches extended 30 total offers, and hosted just 25 of the 62 official on-campus visits permitted by the NCAA. All 25 of those official visits resulted in signatures on Wednesday. No stranger to signing day drama and losses – uttering the name “Ryan Perrilloux” is still liable to spark bitterness among the burnt orange and white nation, Brown was happy to enjoy an uneventful signing day. “It’s a whole lot worse to be No. 2 in recruiting than it is No. 5,” Brown said. “Because if you lose today, you not only lost the guy you lost, but you lost the guy you would have taken if he hadn’t come. So actually, you lose two or three players when you lose a guy late. This year’s class is predictably dominated by Texas’ top talent as 22 of 25 prospects hail from the Lone Star state. Since taking the Longhorns’ job, Brown has embraced legendary Texas coach Darrell K. Royal’s advice to reestablish ties with the state’s high school coaches, and the program continued its stranglehold in 2010 as all 22 homegrown prospects rank in the state’s top 100 according to the Lone Star Recruiting rankings. With regard to evaluating out of state prospects, Brown said that he tries to identify a reason why such a prospect might be interested in Texas. Wednesday, the Horns received signed letters of intent from three out of state prospects, including one ofthe country’s top linebacker prospects in Jordan Hicks from West Chester, OH (his explanation of why he chose Texas). Rarely do blue-chip athletes from Ohio escape Ohio State’s grasp, but in Hicks, Brown landed the first player of his tenure from that talent-rich region. Thanks to John Haynesworth for his contribution on Texas football’s 2010 National Signing Day recap for Eyes Of TX. More to come on Thursday, with in-depth player profiles.